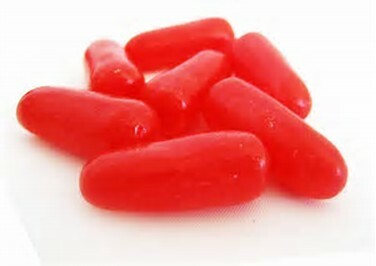 I wanted to cut up some Hot Tamales candies for cookies, but had a horrible time cutting them. I couldn't get the candies small enough and they stuck together. I tried cutting with a knife and a food processor, the candies stuck to the blades. The hot tamales candy are large and difficult to cut. I wanted pieces about the size of medium chocolate chips. Any suggestions? Freeze them. After they are frozen, put them in the food processor and you should no longer have the issue of them sticking to the blades. As Dougal mentions below, you can also freeze the blade to help keep the temp down. Not the answer you're looking for? Browse other questions tagged cookies candy cutting or ask your own question. What is the most effective method to mince candied ginger? How to make sparkling powder for candy?